“The Kevinian cult has taken everything from seventeen-year-old Minnow: twelve years of her life, her family, her ability to trust. And when she rebelled, they took away her hands, too. Check out this book and the rest of the Top 10 at your CCRSB library today! 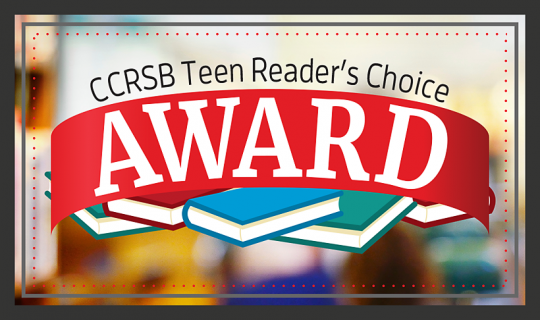 Share your thoughts with the CCRSB community by using the hashtag #TRCA2017 and make sure you VOTE for your favourite books on the Teen Reader's Choice Awards blog!